Lynden International, a full-service freight forwarding and logistics company, opened a new service center in Edmonton, Alberta, Canada, on January 1st. The new location adds a strategic link to Lynden's North American and Canadian network and will meet the increasing demand for transportation and logistics services for Canada's oil and gas industry. "Lynden has served Canada for many years through Lynden Transport in Edmonton, Calgary and Whitehorse and we are pleased to now introduce Lynden's international services to our customers in the Alberta market," says Rob Clarke, Lynden International's Canadian Business Development Director. 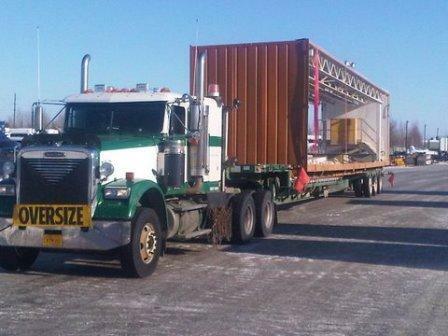 "We are expanding our long-established truck transportation offerings to include import and export services, freight forwarding, customs brokerage and logistics and warehousing to support oil patch customers who are taking advantage of the booming oil sands development. We also offer customers the capabilities of Lynden's worldwide forwarding and logistics network with its trademark customer service, advanced technologies and solutions tailored to meet customer's individual logistical needs. This service center will give new customers greater transportation options and improve service to our existing customers." The new service center is located at the Edmonton International Airport in Nisku, AB. Lynden has locations all across Canada, including Calgary, Edmonton, Fort Erie, Toronto and Vancouver. 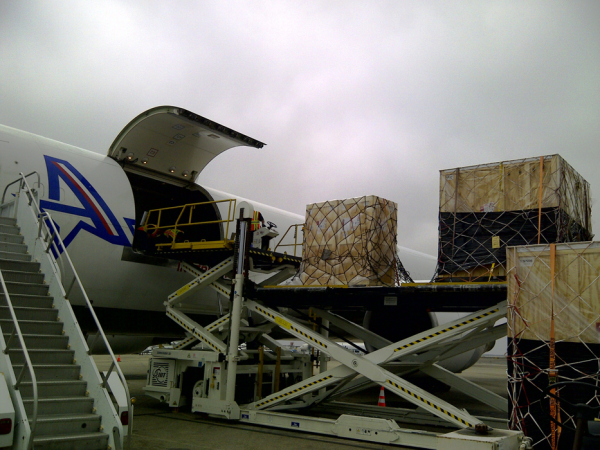 As an international air and ocean freight forwarder with more than 50 locations in North America, Lynden International offers customs clearance and works with U.S. and Canadian customs, carriers, suppliers, vendors and buyers to arrange air, ocean or truck transportation anywhere in the world. 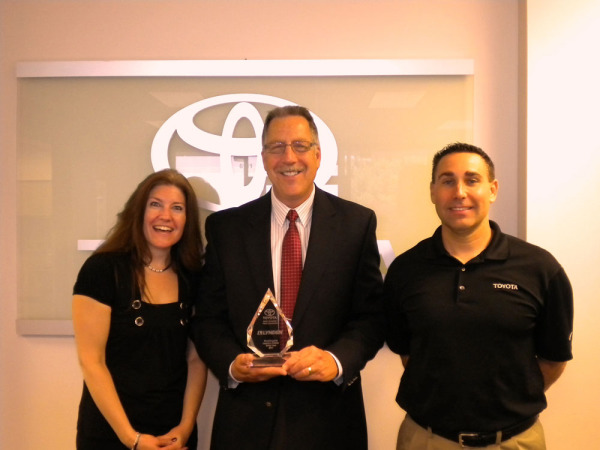 Bill Johansen (center) with Nancy Greenburg and Jason Chappell of Toyota. The Shorecrest High School Marching Band made its fifth trip to Ireland last March to play in Dublin's St. Patrick's Day Parade, and Lynden International played a supporting role by making sure that 76 instruments and 15 boxes of uniforms made it to Dublin with the students. The band includes 100 musicians accompanied by bagpipers and dancers and keeping track of all the musical “baggage” was a big job, according to Senior Account Manager Kevin Adderson. Kevin started working on the move last fall when he received a call from Jim Zatloukal with the Washington Cultural Exchange. He says the biggest challenge was advance planning and then keeping the instruments together for shipping. 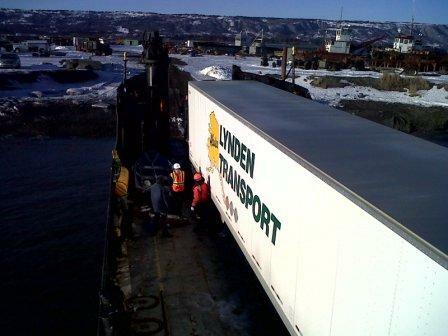 “We had trumpets, bagpipes and a lot of odd-sized freight. We had to pick up the instruments at the school and get everything neatly boxed up and palletized to prevent damage while keeping costs down for the school. 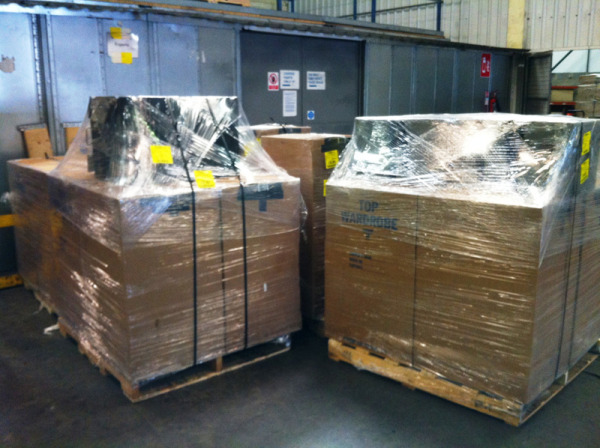 Our warehouse crew in Seattle and Dublin did a great job.” Lynden also set up a special “carnet,” or merchandise passport, to simplify the international customs process and eliminate duty tax on the 101 pieces traveling from the U.S. to Ireland and back. Approximately 101 pieces flew from Seattle to Prestwick Airport on a cargo plane and were then trucked from Prestwick Airport to Dublin Airport where they were processed and released to the band members. After the parade performance, the students stayed on in Dublin while the instruments and other pieces were repackaged by Lynden for the return flight. “The uniforms and band equipment all arrived back at the high school ahead of schedule and in great shape,” says Marc McCartney of Shoreline Schools. 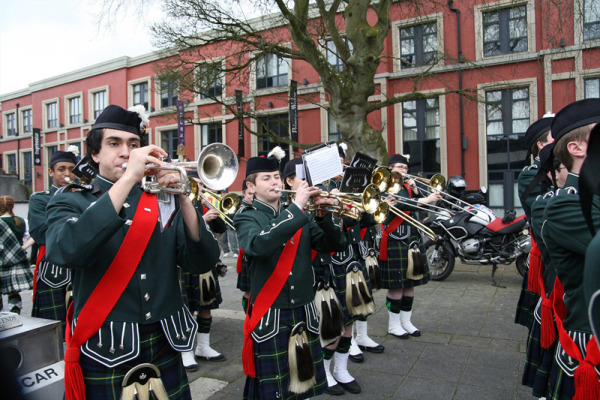 Shorecrest’s bagpipe band makes it unique among American high schools. 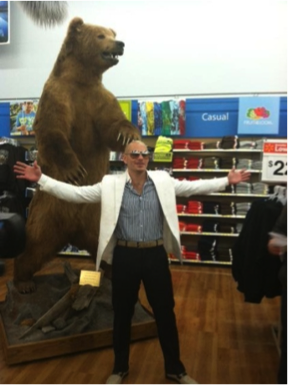 Marc reports that the group won three awards during their Ireland stay including Best International Band. Lynden International pulled together a last-minute charter move of oversized scanners for the Transportation Security Administration (TSA) late last year. The scanners, weighing a total of 17,000 pounds, were needed at the Honolulu Airport immediately to replace malfunctioning machines used for scanning passenger luggage for explosives. “They were down to just one machine to scan passenger luggage for explosives at a very busy airport,” explains Juancarlos Cruz, District Manager at the Puerto Rico office. The Lynden team chartered a flight from San Juan to Los Angeles, handled all the rigging and packing, and set up another direct flight on a freighter into the Honolulu Airport. “It was a very complex move, but we knew it was a matter of public safety to get the machines to Honolulu as quickly as possible,” explains Juancarlos Cruz, Puerto Rico District Manager. “Our team in San Juan with the help of Daniel Gotham in Houston and Roberta McClelland in Seattle pulled together to get it done”. Lynden International is quickly establishing a niche market of helping hotels prepare for grand openings as well as assisting with upgrades and renovations. As it did for the Aava Whistler Hotel in British Columbia, Lynden has provided transportation and logistics services to several resorts and hotels over the past year. “From chandeliers and carpet to lamps and chairs, we can move just about everything you might find in a hotel -- the whole shooting match,” explains Jim Taef, Lynden’s District Manager in Los Angeles. For one customer, Lynden brought air shipments into its Los Angeles station from Turkey and China and arranged full truckload transport to a 100,000-square-foot warehouse near the building site. 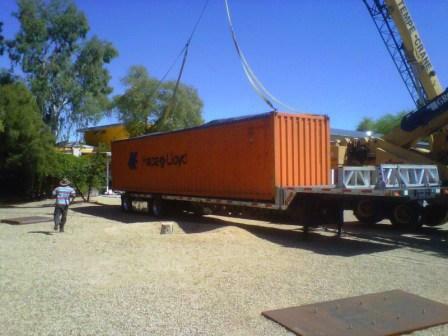 It also handled ground domestic shipments from Georgia, New York and New Jersey – all destined for the warehouse and later staging in the hotel. The challenges included securing 20-foot pallet positions on aircraft for carpet manufactured in China, and coordinating shipments of raw materials from Italy and Mexico to China for manufacturing. The finished products were then shipped from China to Los Angeles. 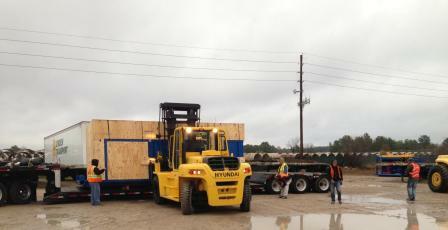 The global nature of the project kept Lynden’s customs crew and in-house brokers busy. Taef traveled from Los Angeles to the hotel site every few weeks to oversee shipments coming into the warehouse and to troubleshoot any problems during construction. “We really can do it all for our hotel customers,” he says. “From international shipping, warehousing and delivery to the hotel site, we provide a variety of value-added services.” This complete package provides hotel management and construction teams with everything needed without the headache of dealing with multiple contractors and vendors. Dave Coles squints into the Arizona sun as he watches a crane operator attach straps to a 40-foot Hapag-Lloyd container. With a whine, the crane’s boom slowly lifts the 18,000-pound box off the ground, pivots and carefully places it onto a waiting lowboy trailer. 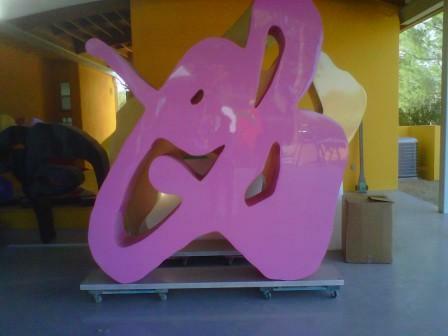 Visible just above the container’s rim are the undulating shapes of “Warrior” and “Octopus.” Part of the Strange Creatures collection created by internationally known artist Rotraut, the oversized aluminum sculptures are two of seven bound for the port of Los Angeles where they will be loaded onto a ship sailing for Fos Sur Mer, France. Coles double-checks the container as it is secured for the 375-mile truck trip from Pleasant Valley, AZ to the California coast. 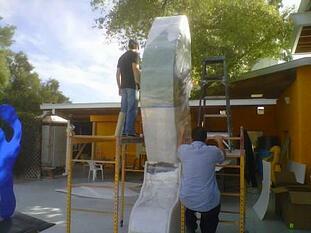 It’s been six hours of precise loading – sculptures into container and then container onto trailer. Finally, the truck driver pulls away from the parking lot into the residential neighborhood and disappears around the corner. 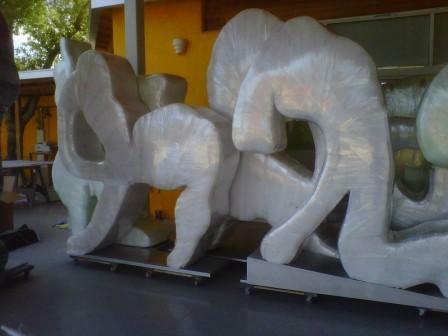 The one-of-a-kind sculptures are just some of the many types of art Lynden International moves for Scottsdale art studio Tete A Tete. The studio and its Director Manuel Luiz count on Lynden’s care and attention to detail. “We have worked with Lynden for more than 10 years,” Luiz says. “They have done very well and given us peace of mind in shipping our art all over the world.” With art moves, the standards are high – and exacting. After reviewing the performance of all transportation carriers it uses in the U.S., Toyota gave Lynden Transport the highest marks and named the company its Small/Support Logistics Partner of 2010. 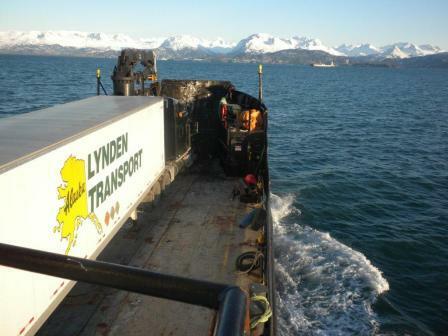 For more than a decade, Lynden Transport has handled the weekly shipping of Toyota parts from its Fife, WA service center to dealers in Anchorage, Fairbanks and Juneau. 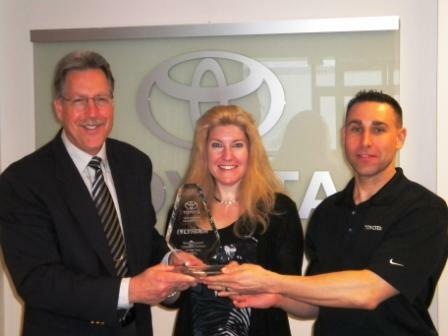 Photo: From left, Bill Johansen of Lynden Transport with Nancy Greenburg and Jason Chappell of Toyota. 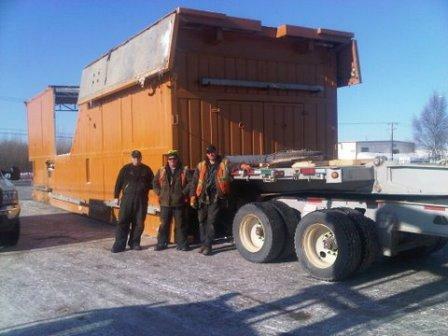 “Lynden's ocean service remains unmatched in the industry. No other carrier is able to provide the same level of damage-free, on-time deliveries while maintaining outstanding customer service,” says Nancy Greenburg, Logistics Coordinator for Toyota. “We enjoy the business partnership we have built with Lynden over the years and look forward to many successful years to come.” Lynden is only the second carrier from the Toyota Portland distribution center ever selected for a national award. The award evaluation was based on the following criteria: cost/efficiency, invoicing, account management, safety, quality, damage, on time performance, equipment, manpower availability and process improvements.